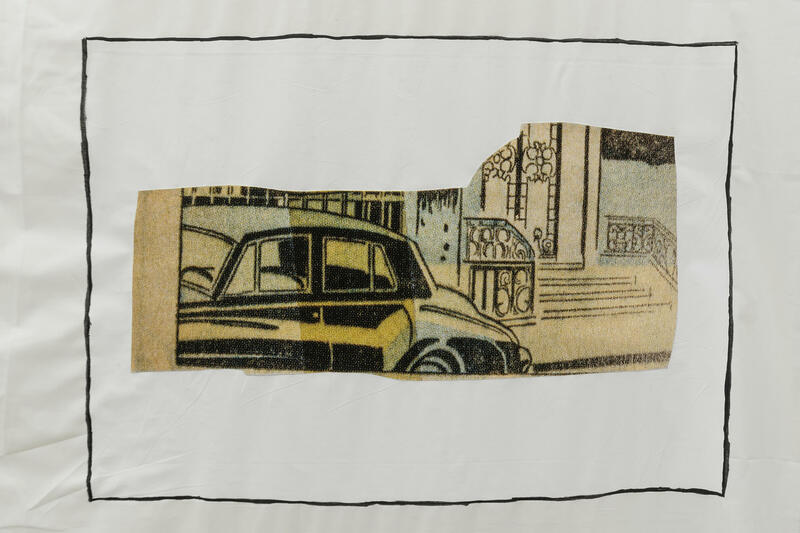 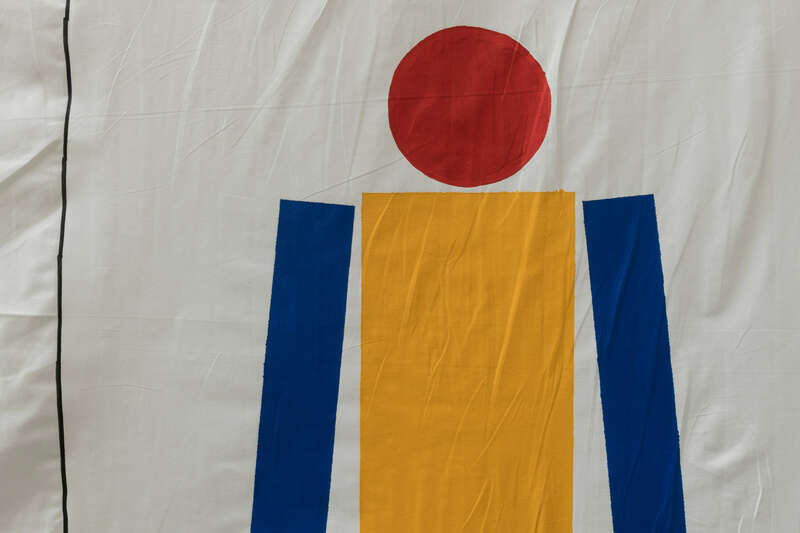 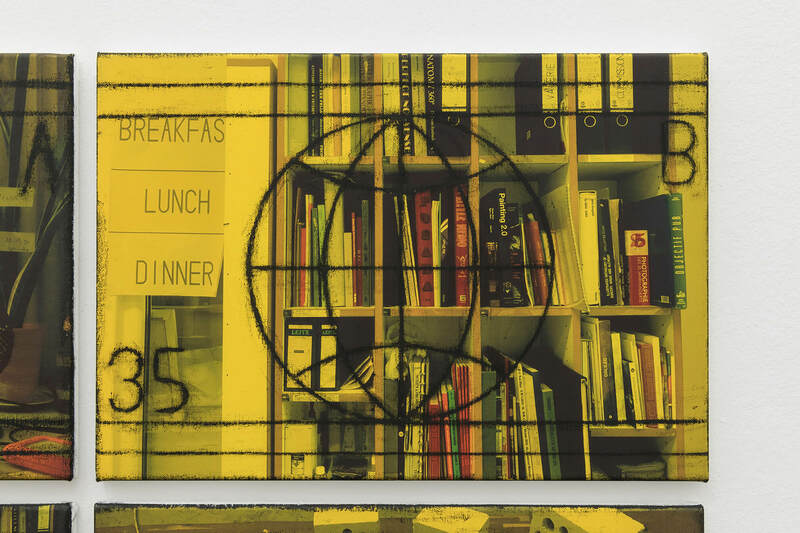 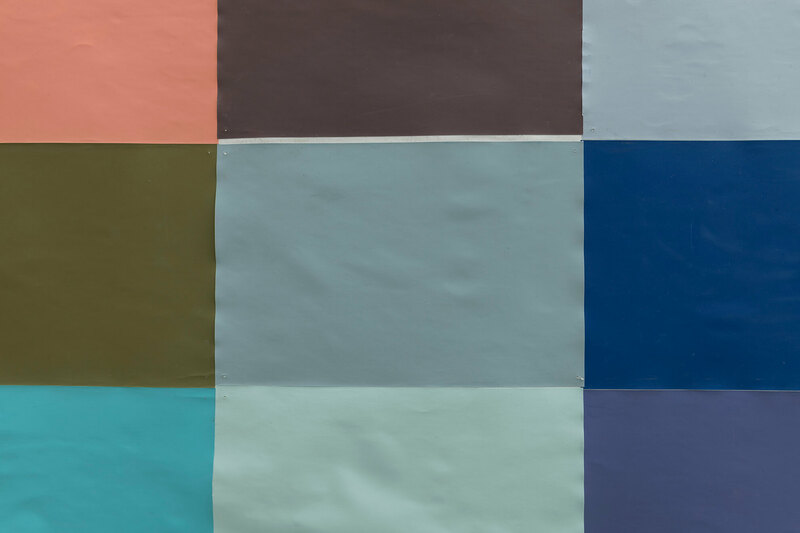 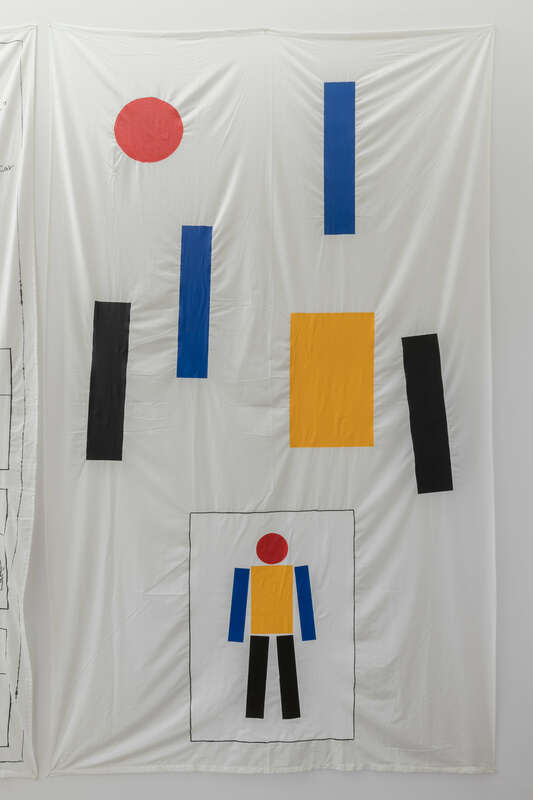 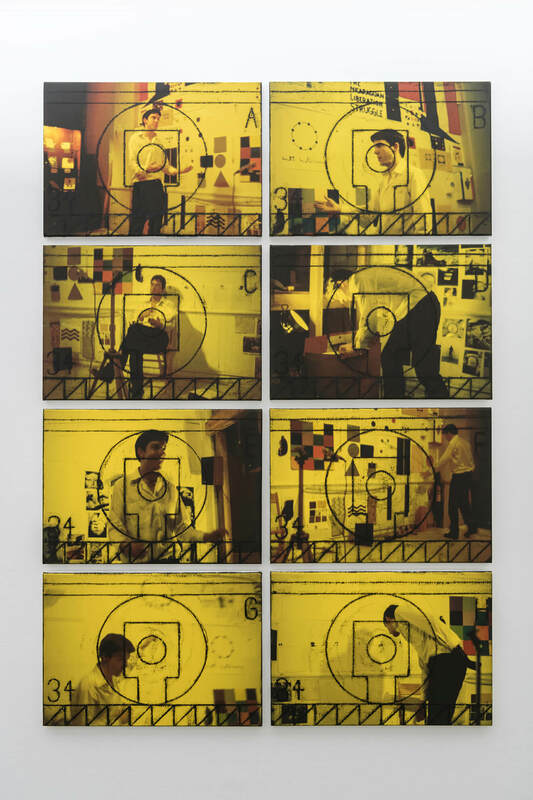 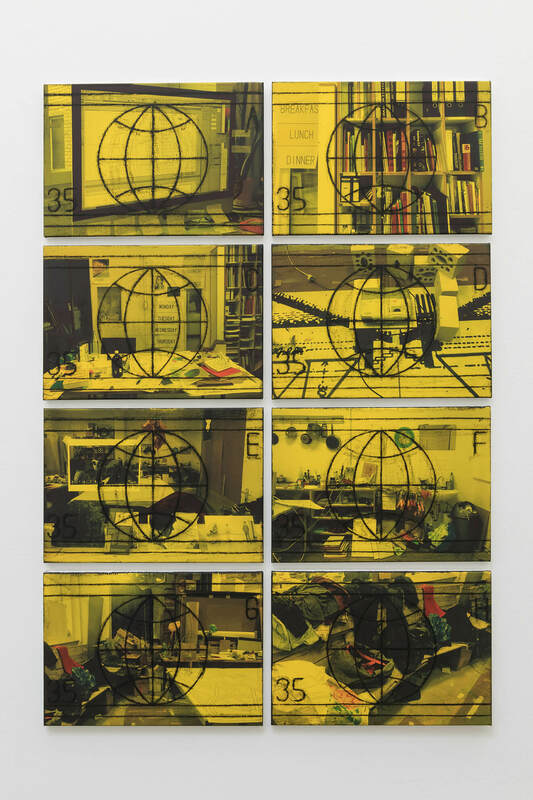 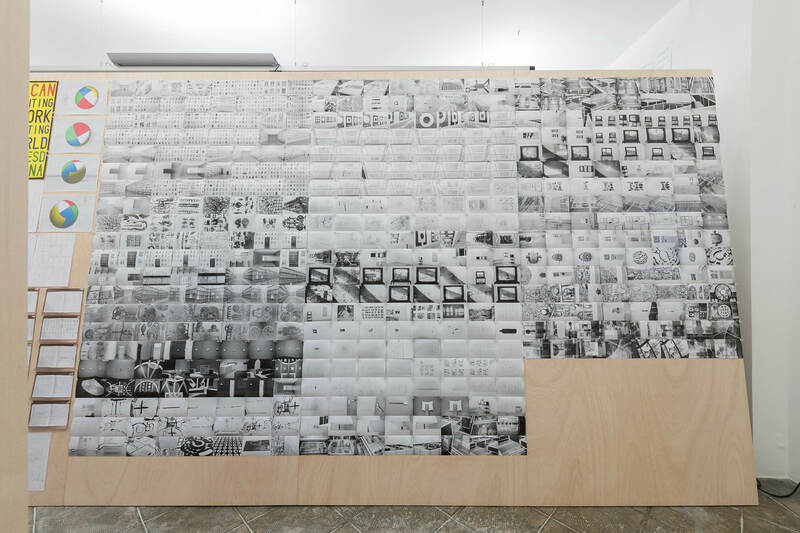 Matt Mullican’s work is the product of a detailed, near-obsessive introspection, devised as an elaborate attempt to duplicate externally the vast complex of inner representations which add up to his understanding of the world he lives in. 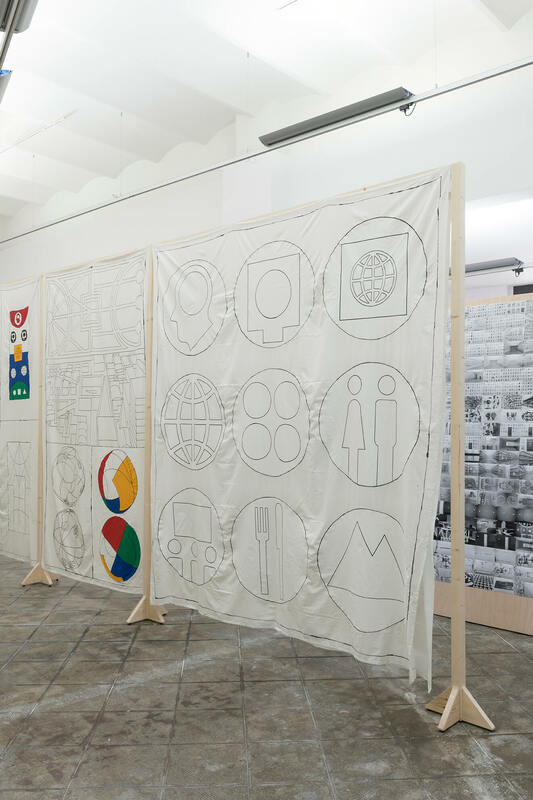 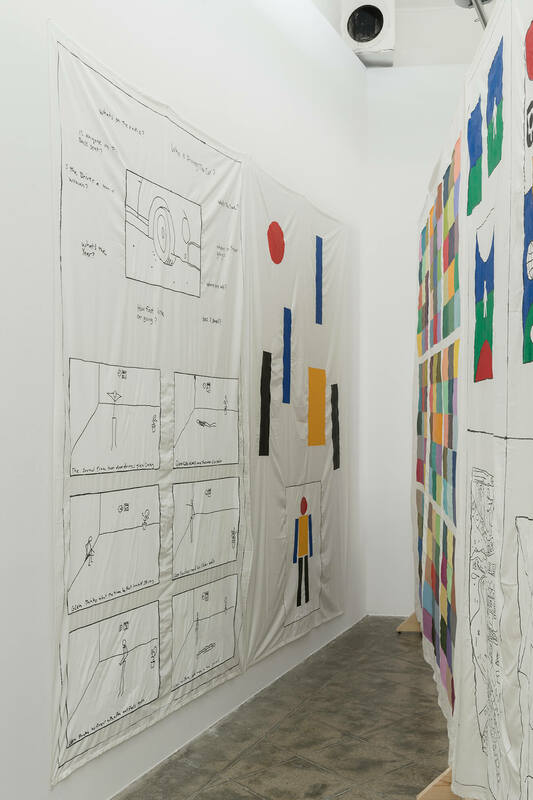 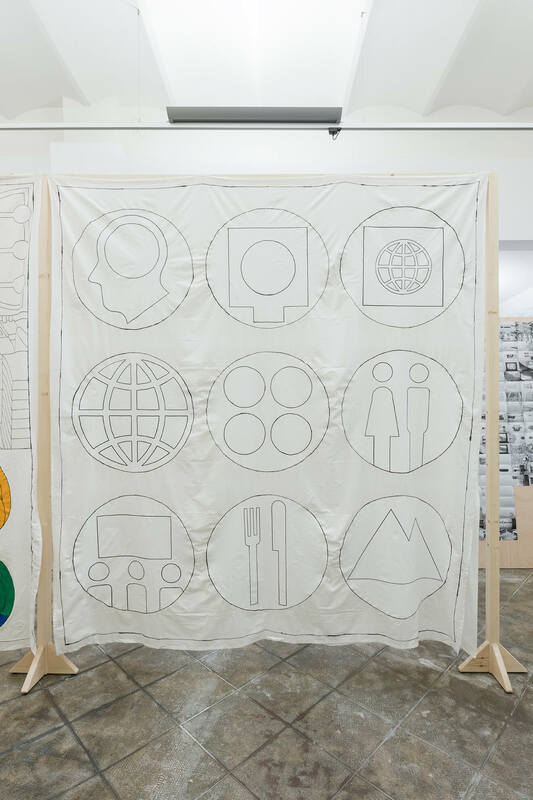 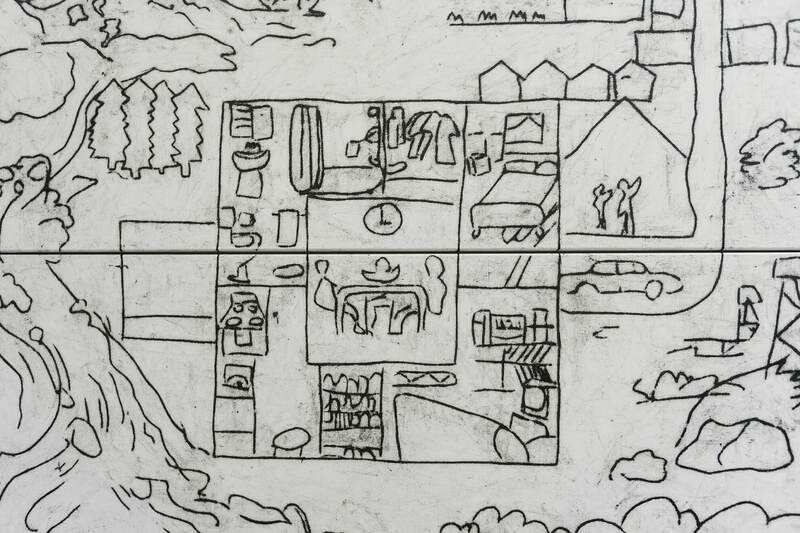 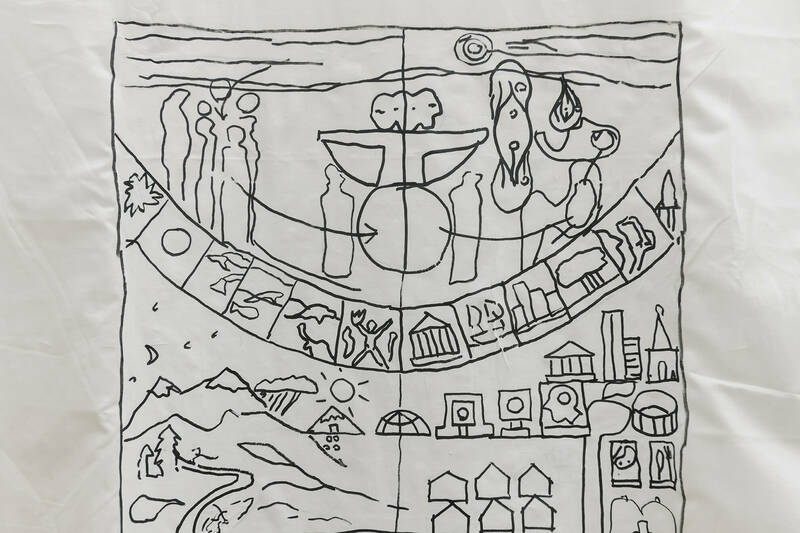 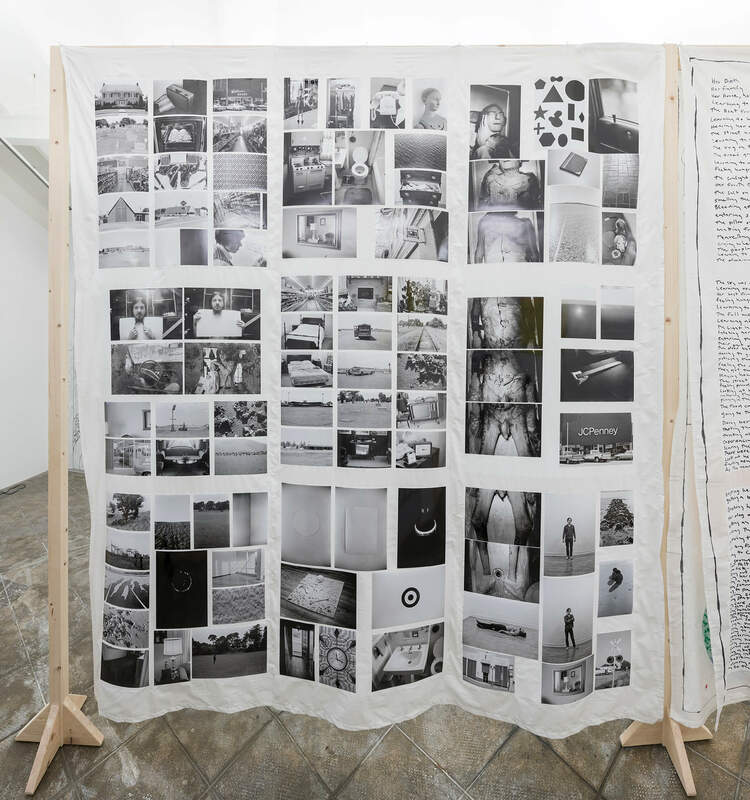 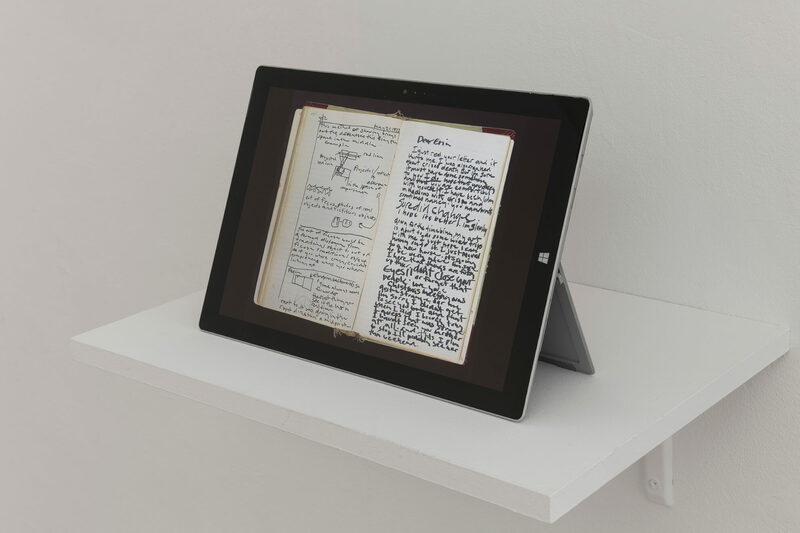 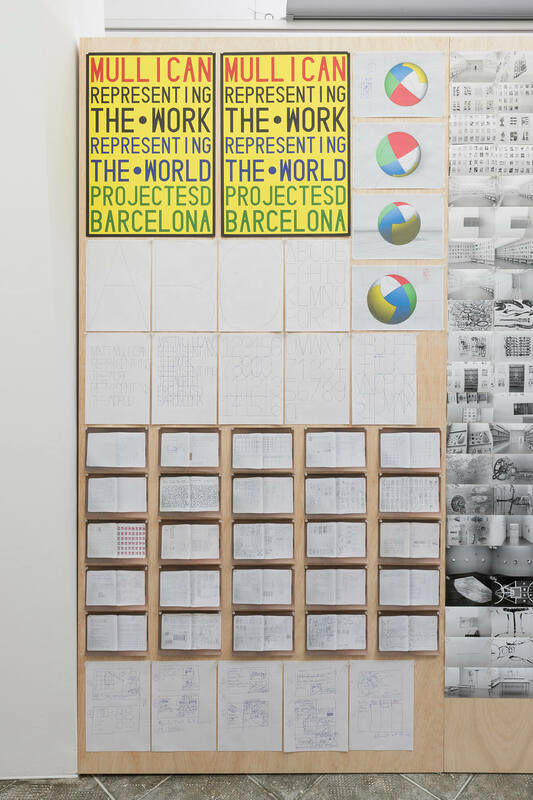 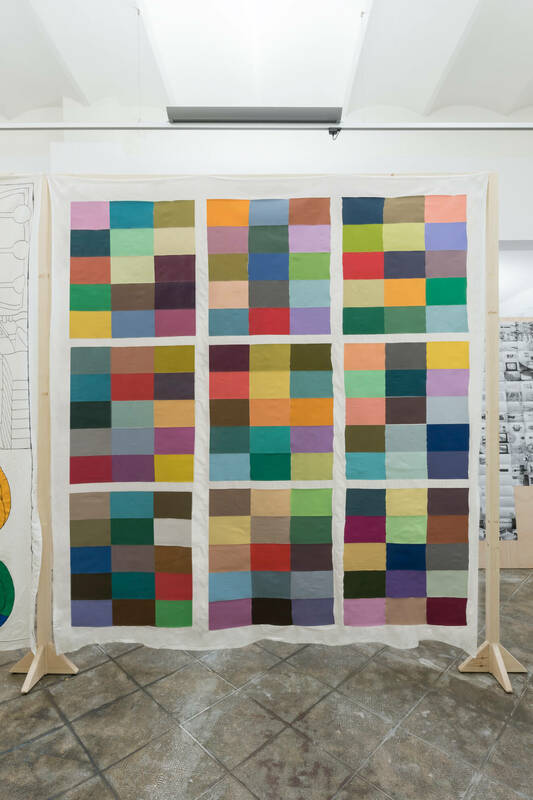 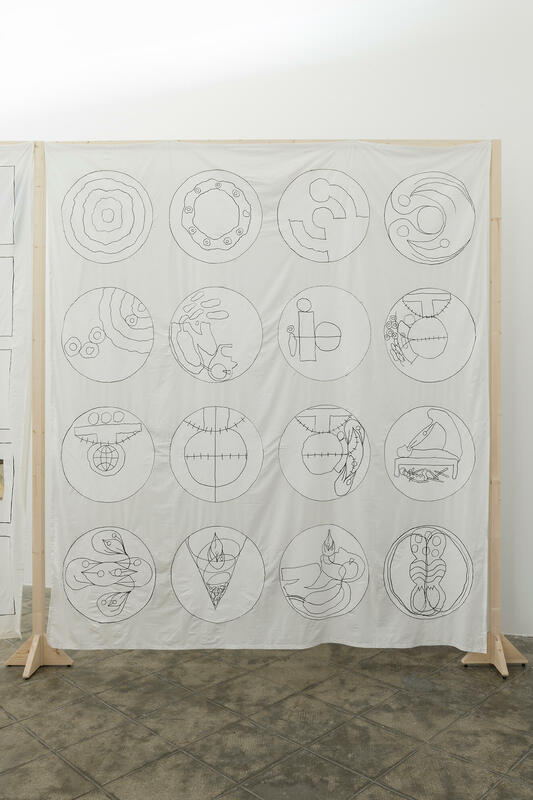 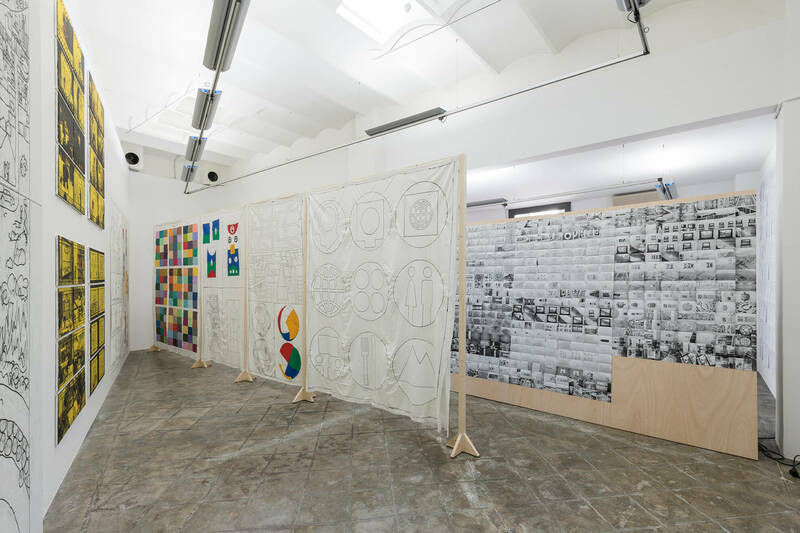 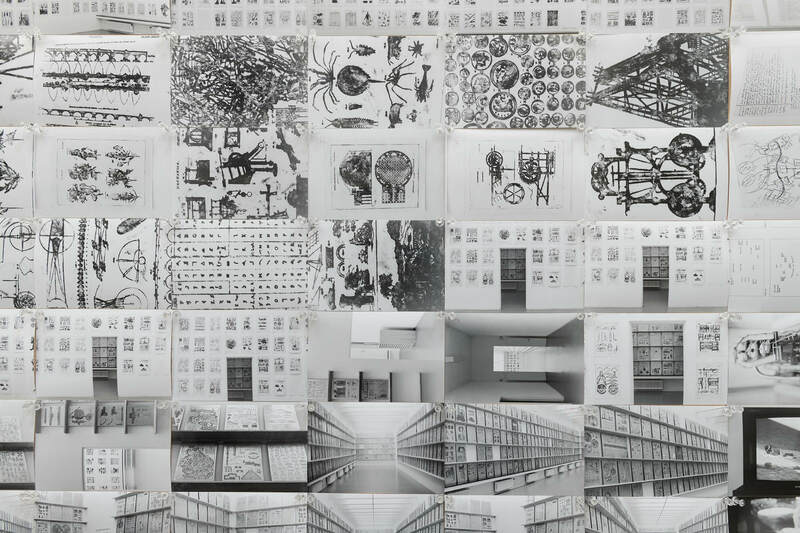 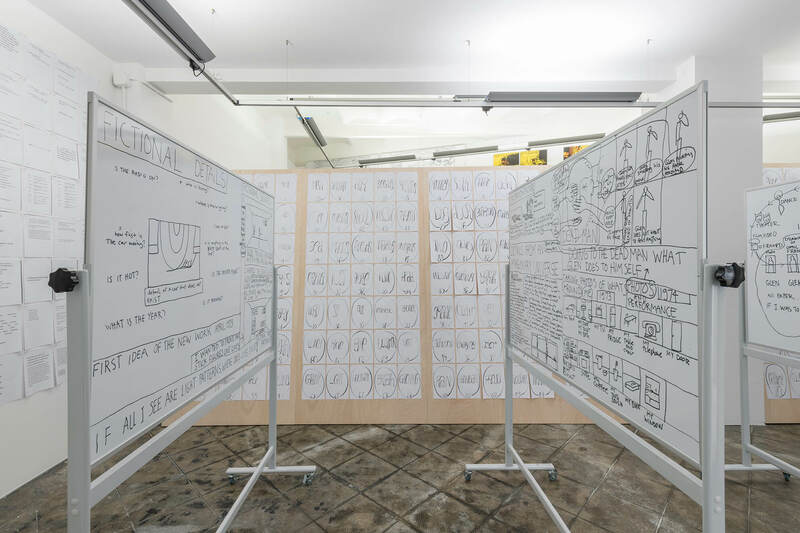 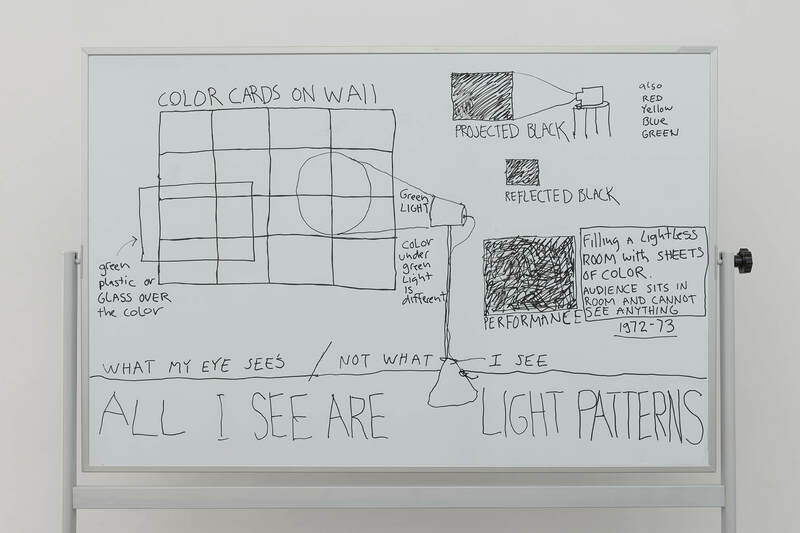 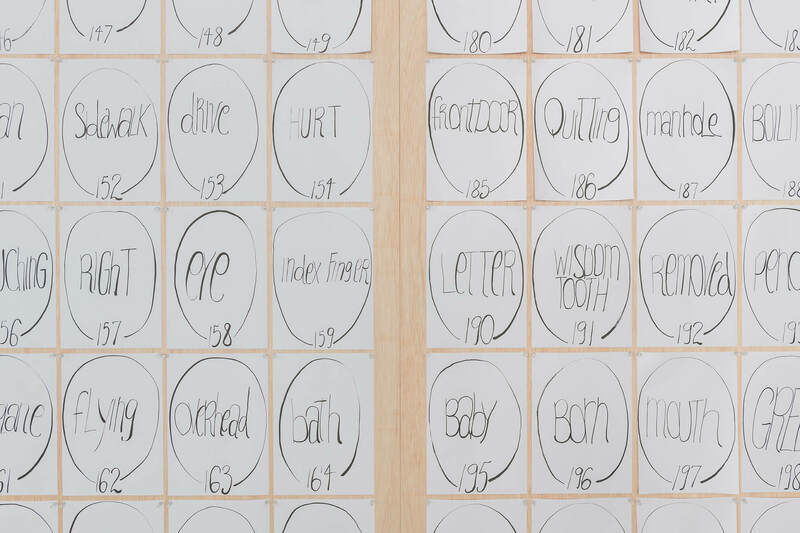 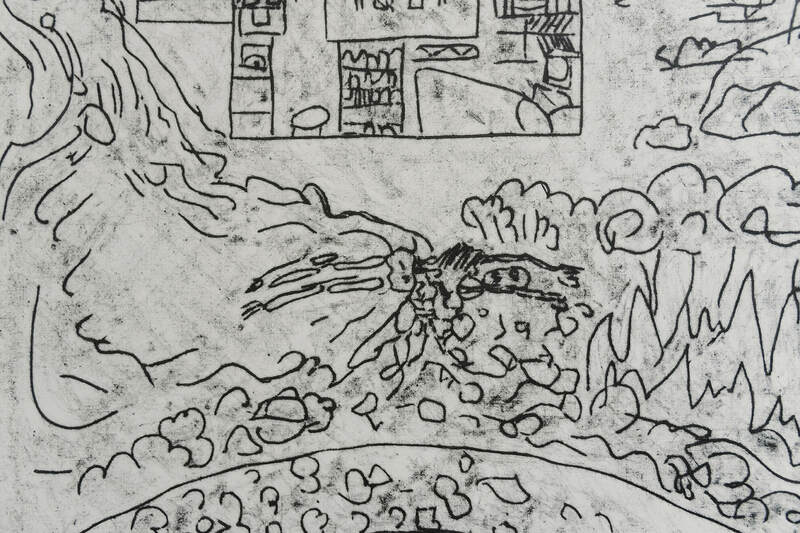 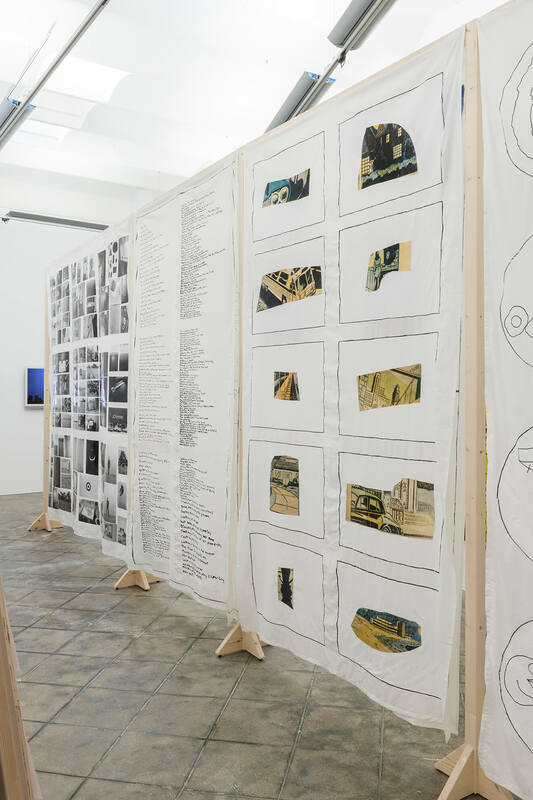 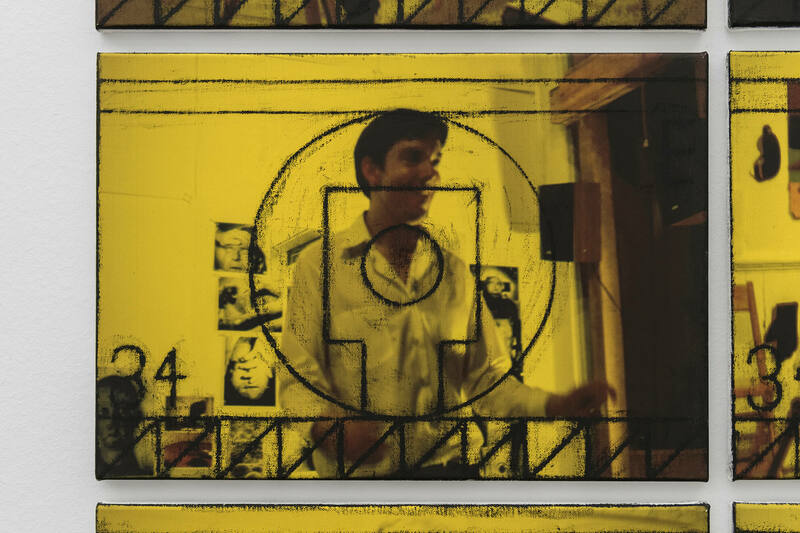 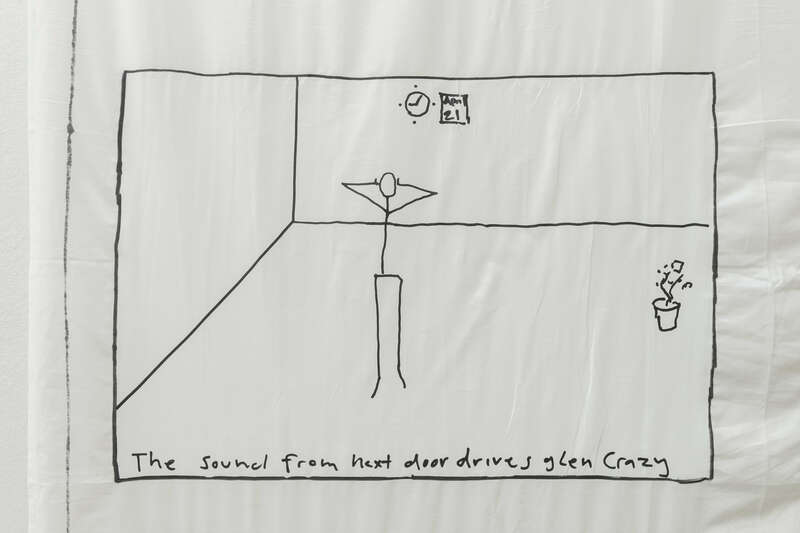 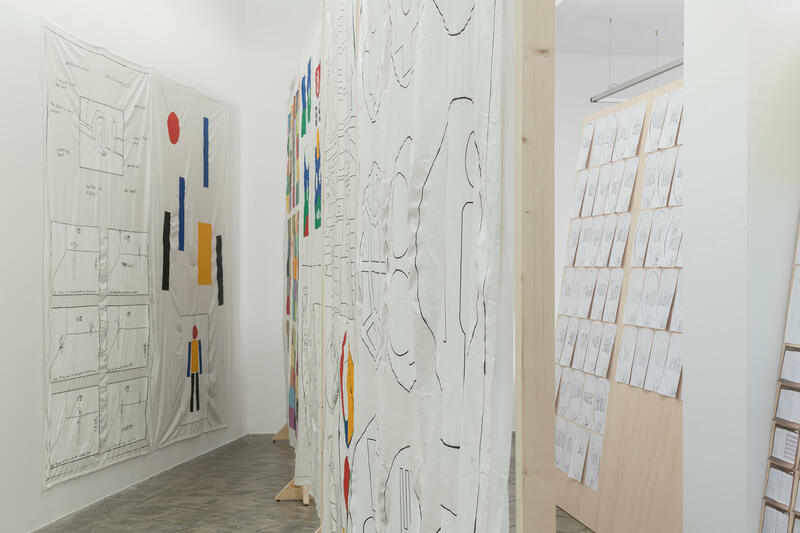 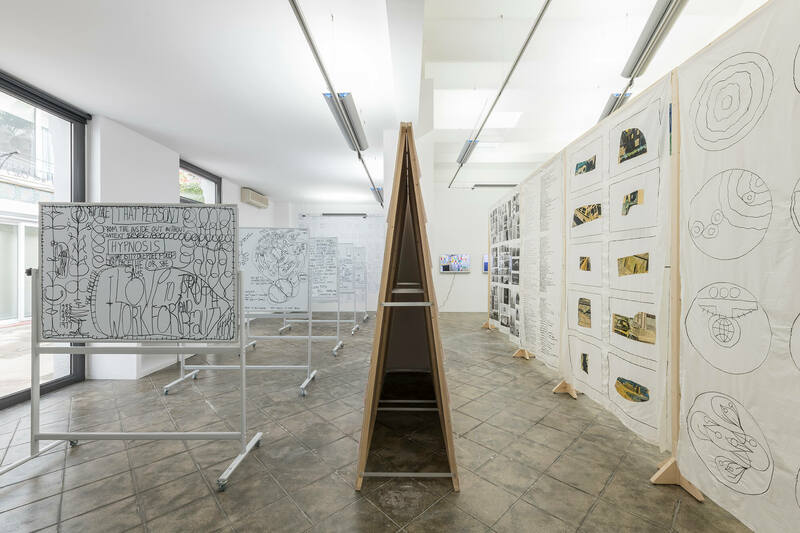 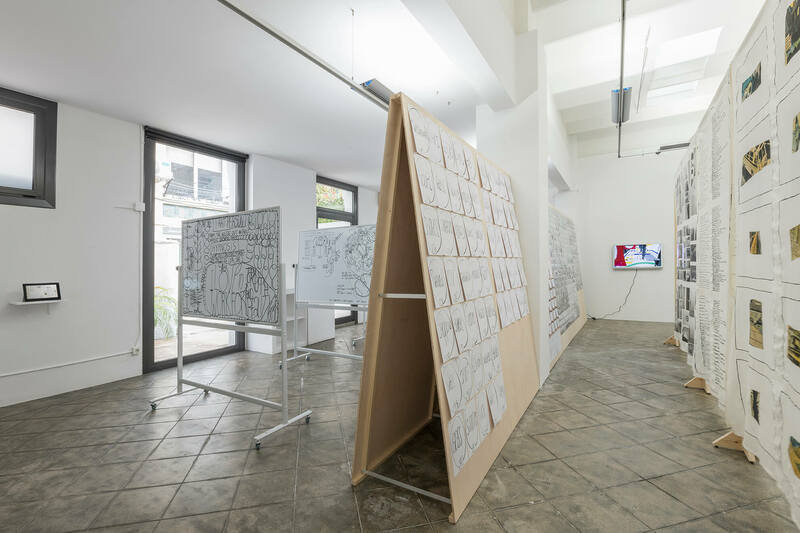 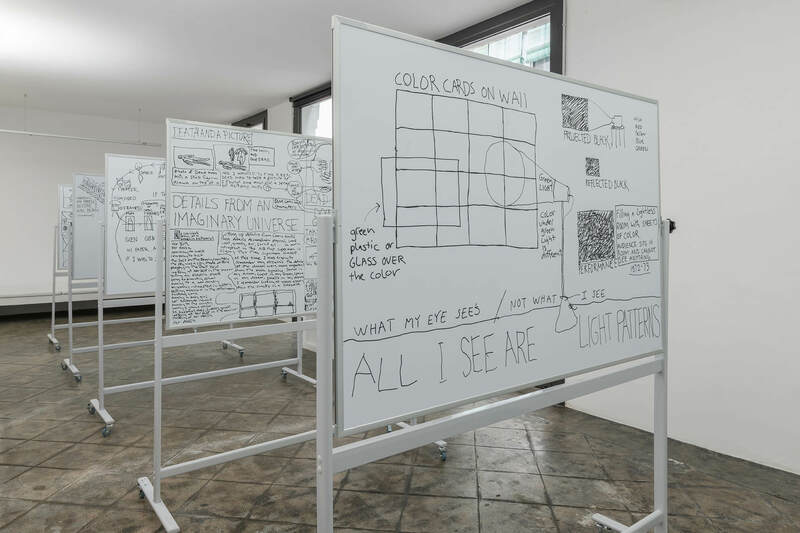 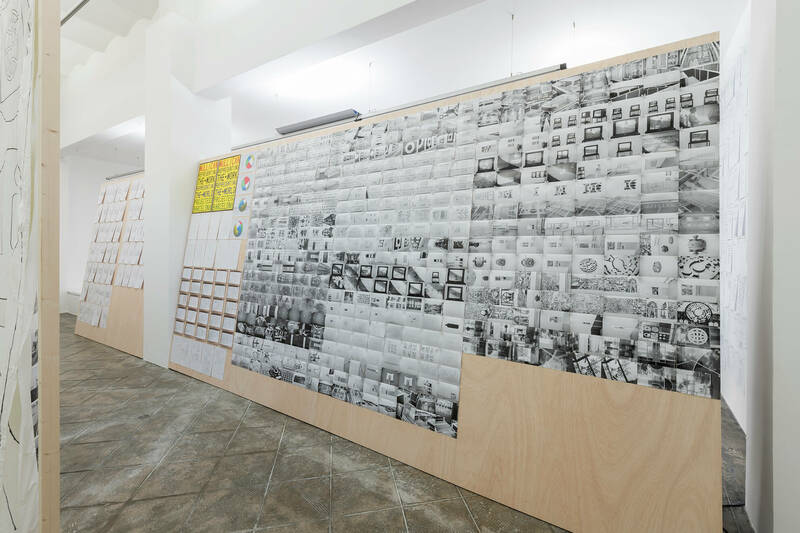 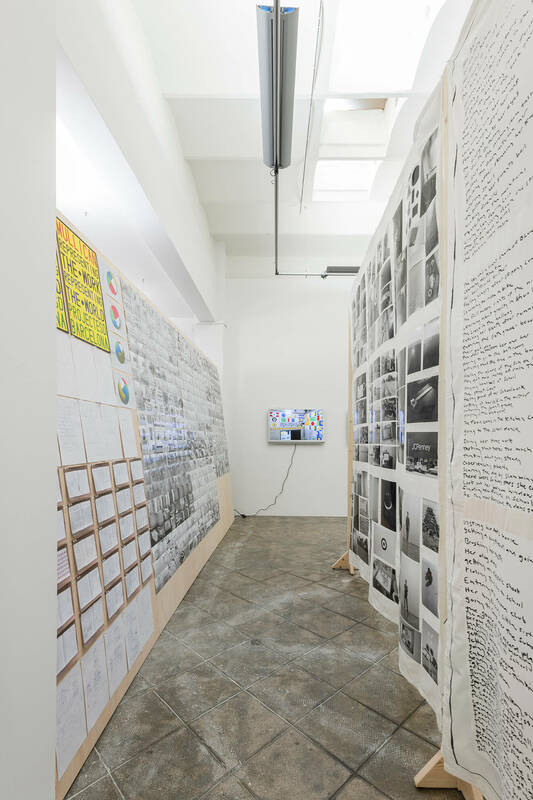 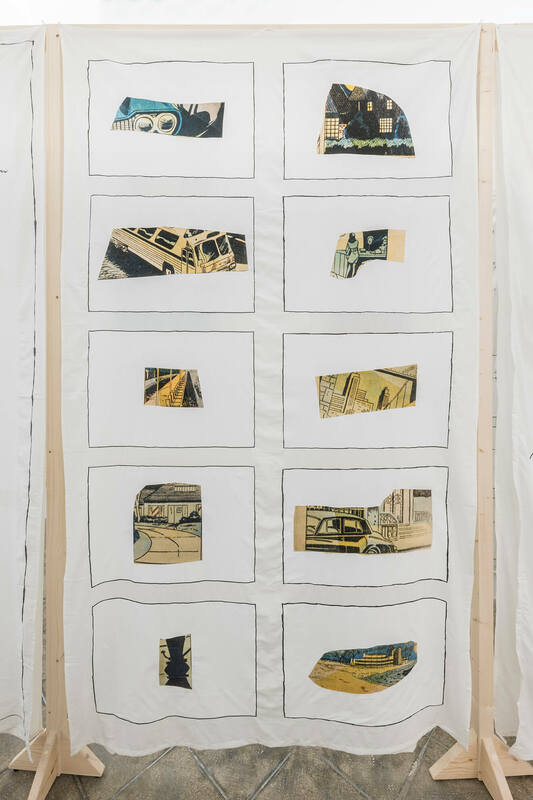 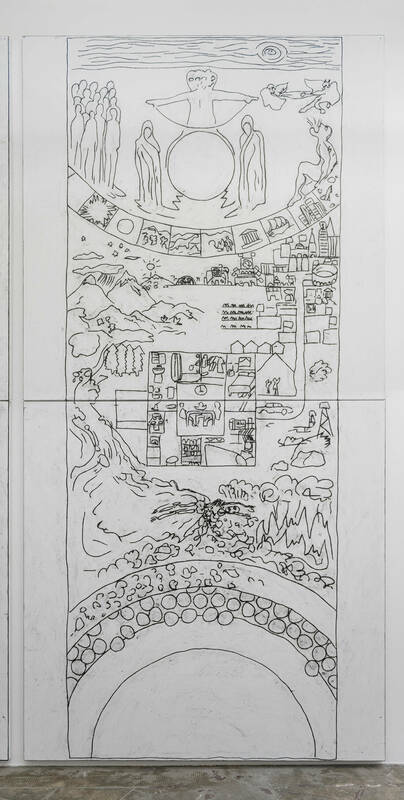 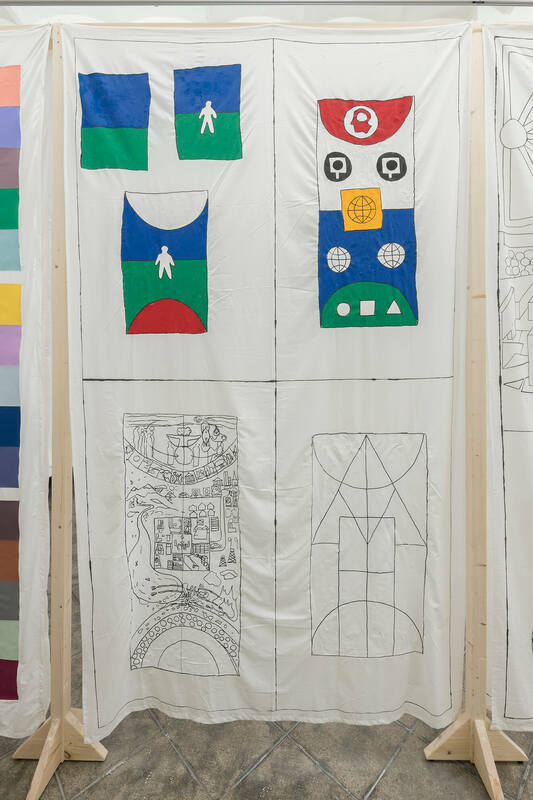 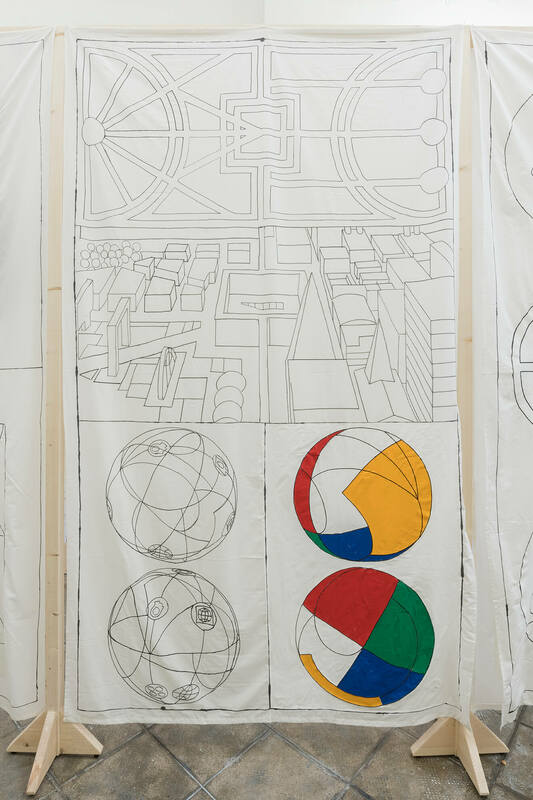 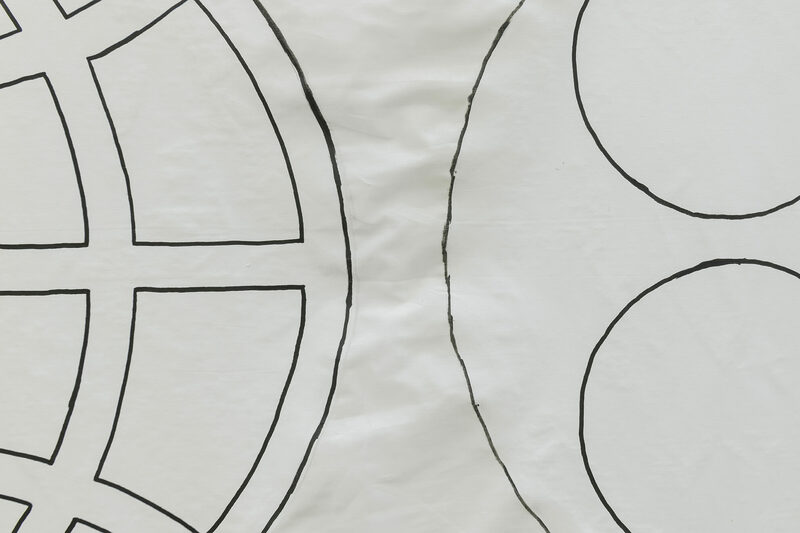 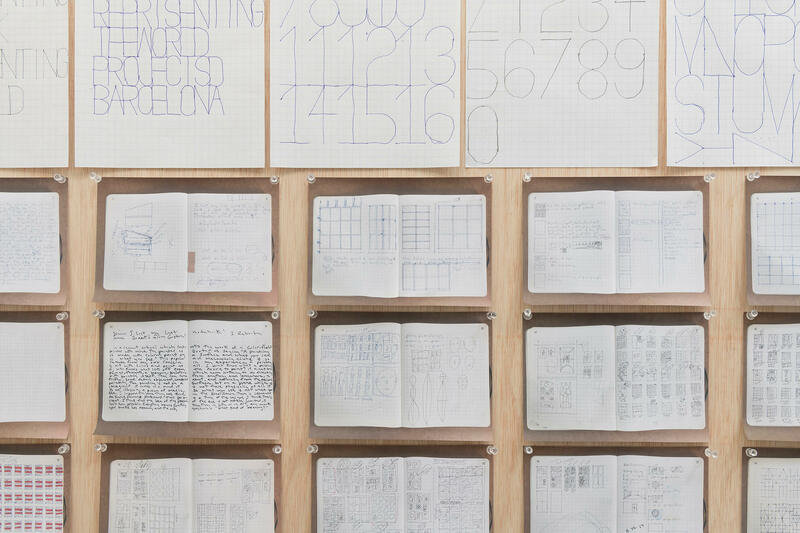 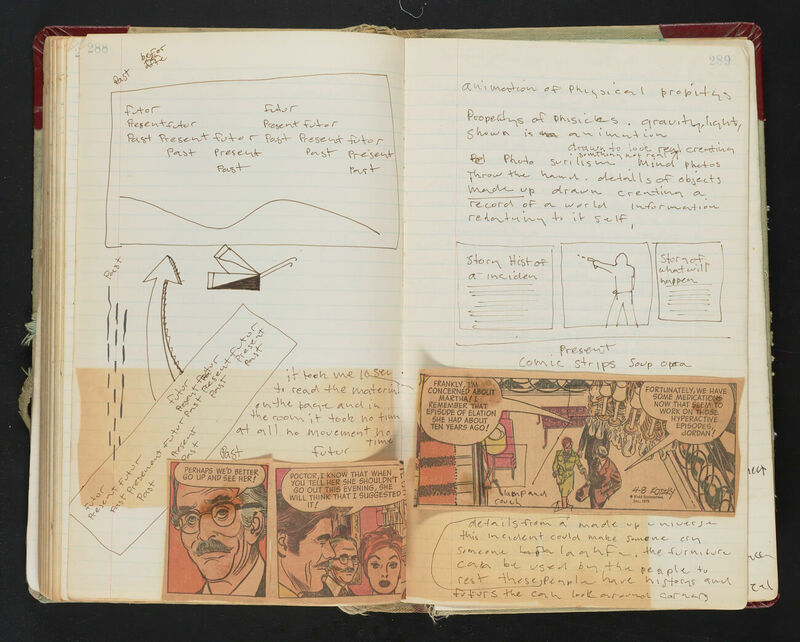 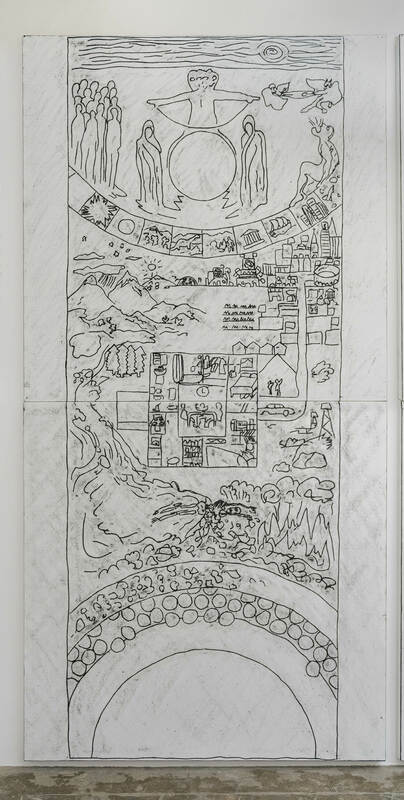 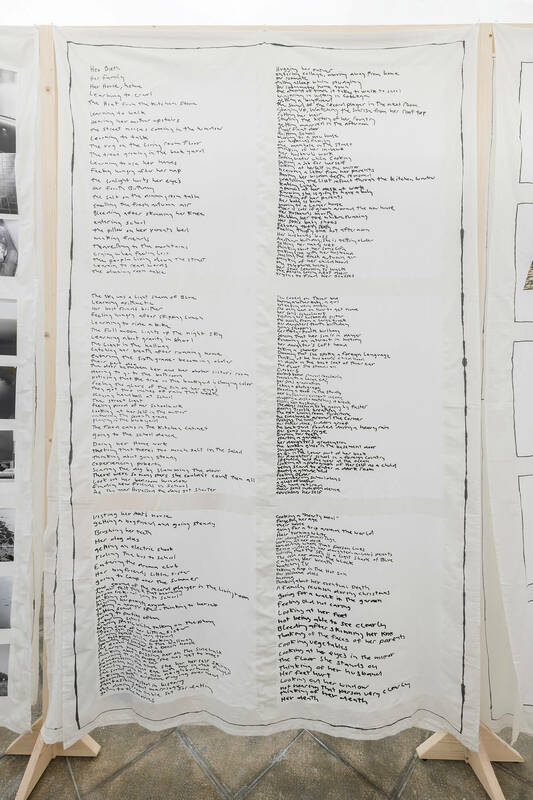 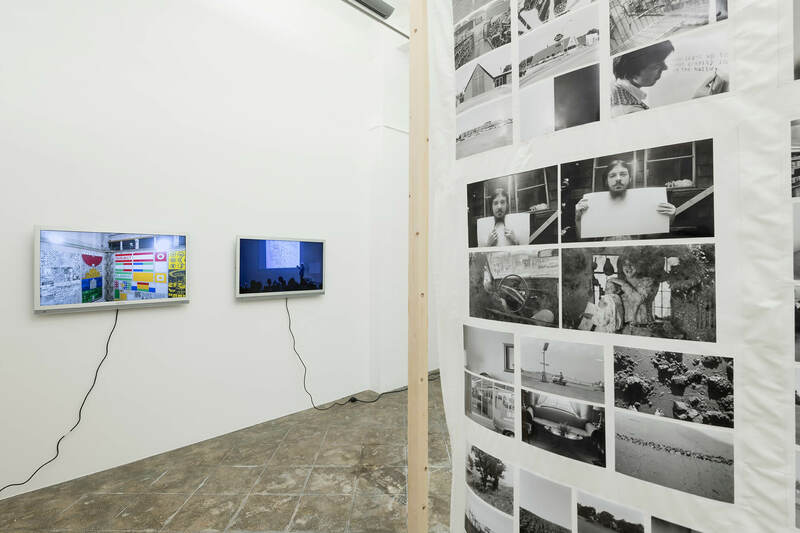 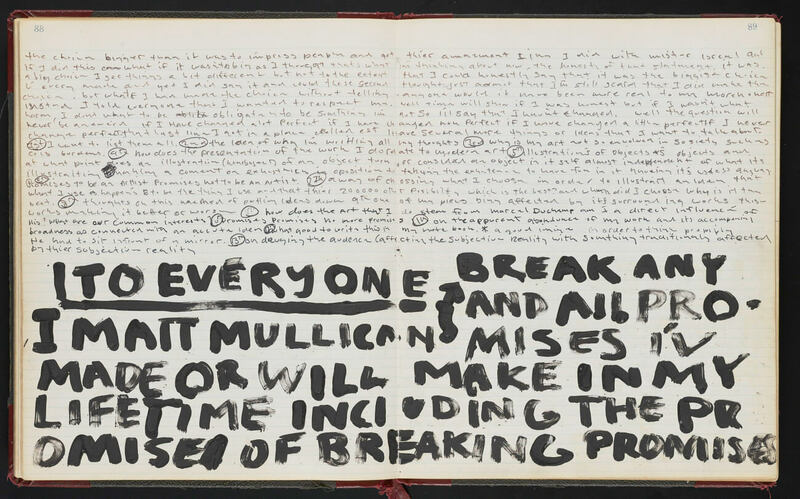 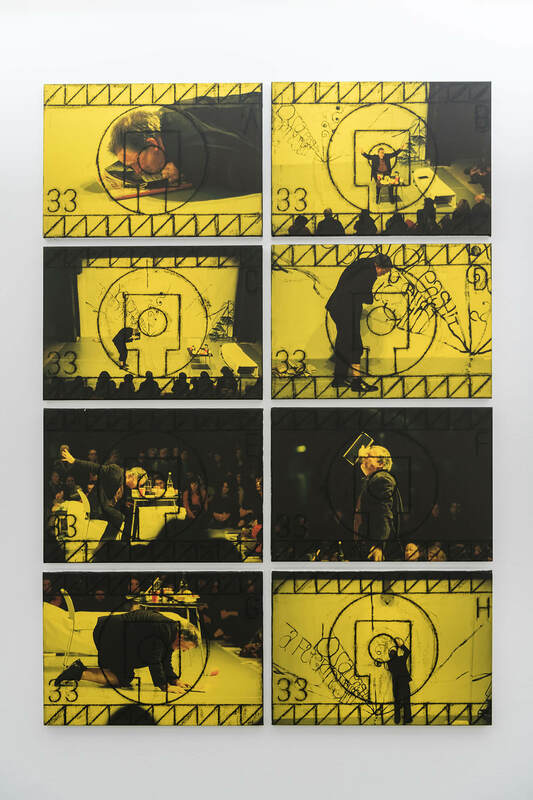 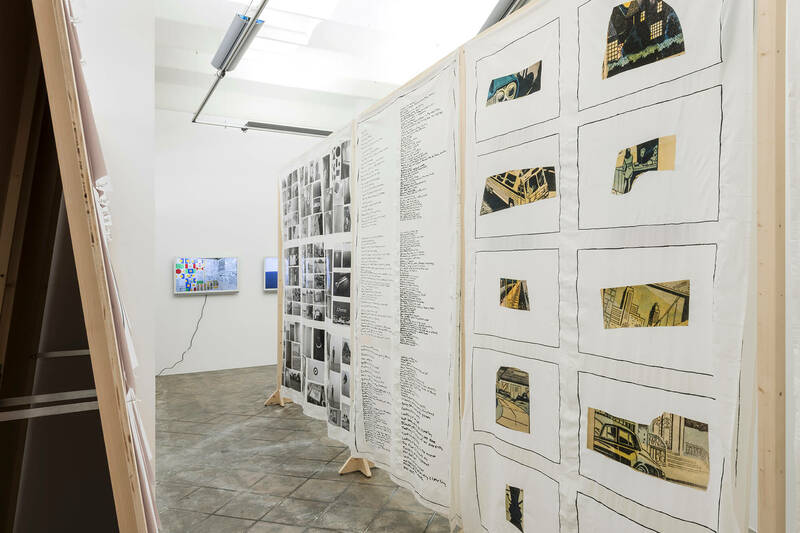 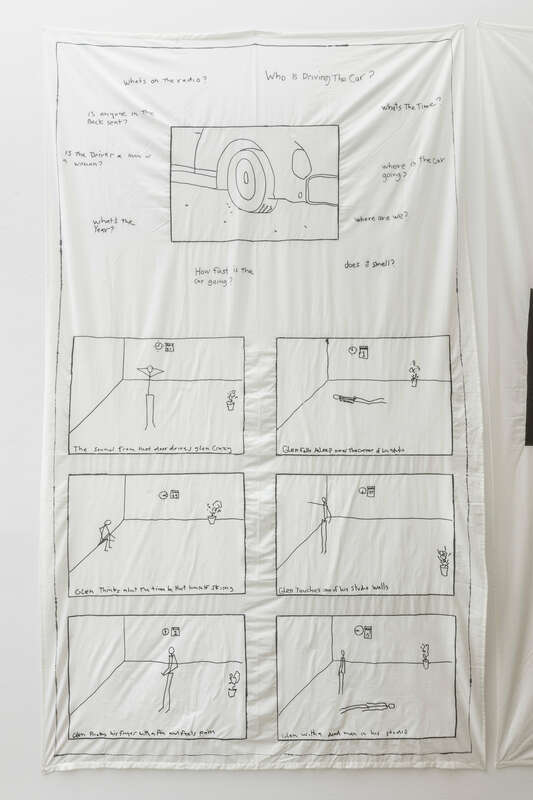 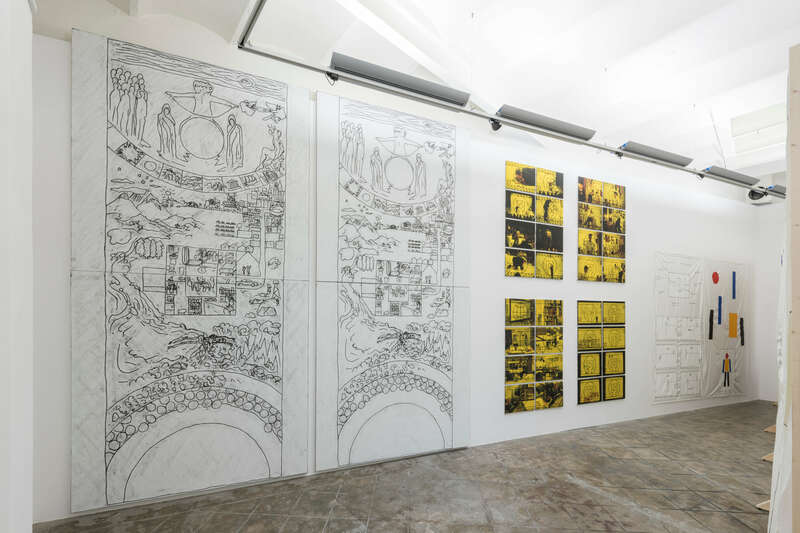 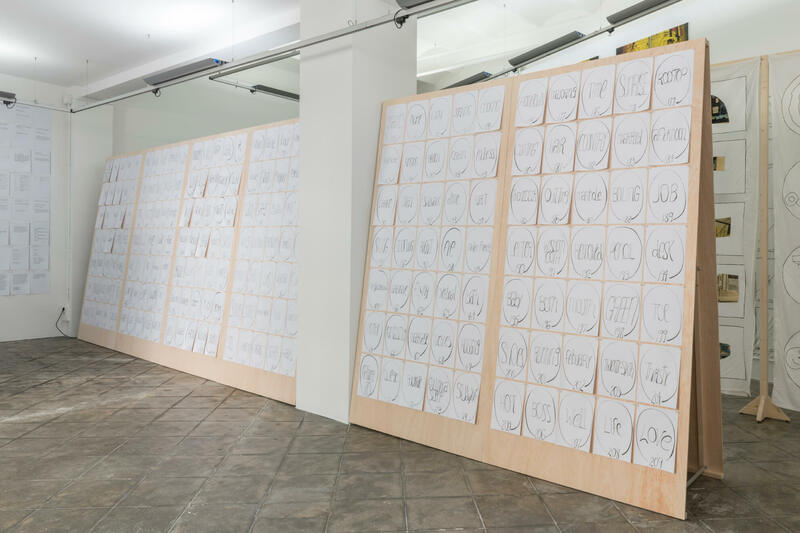 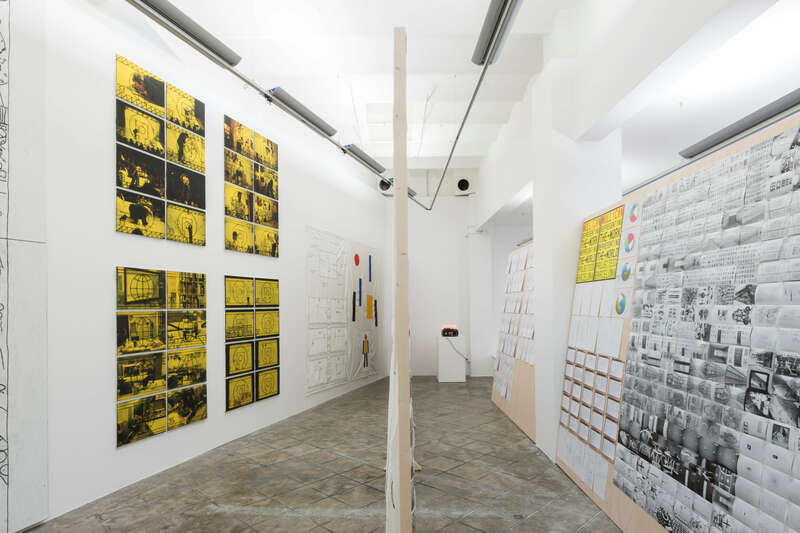 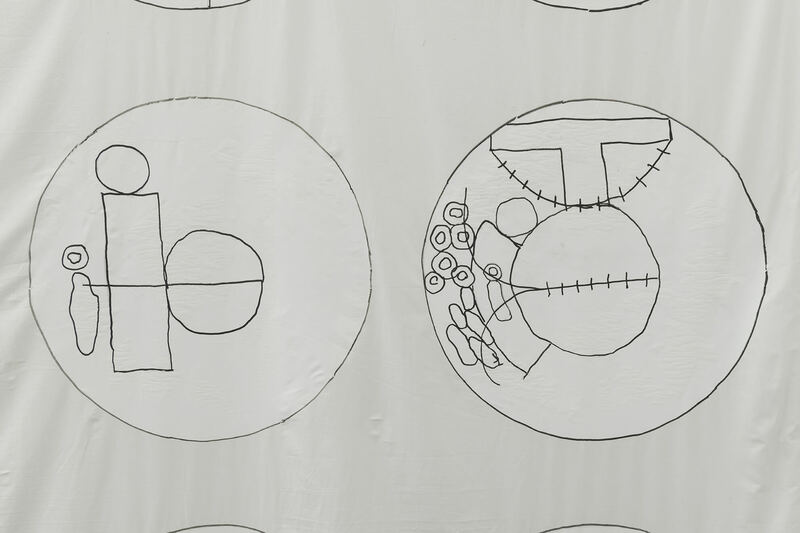 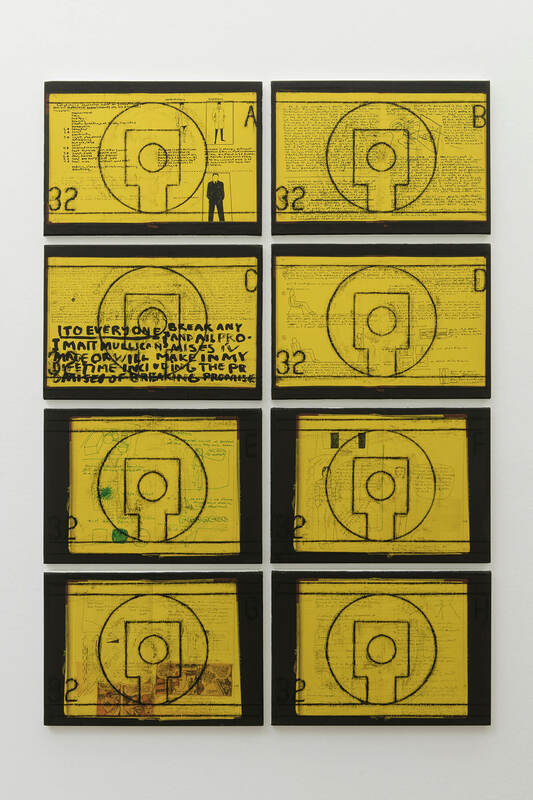 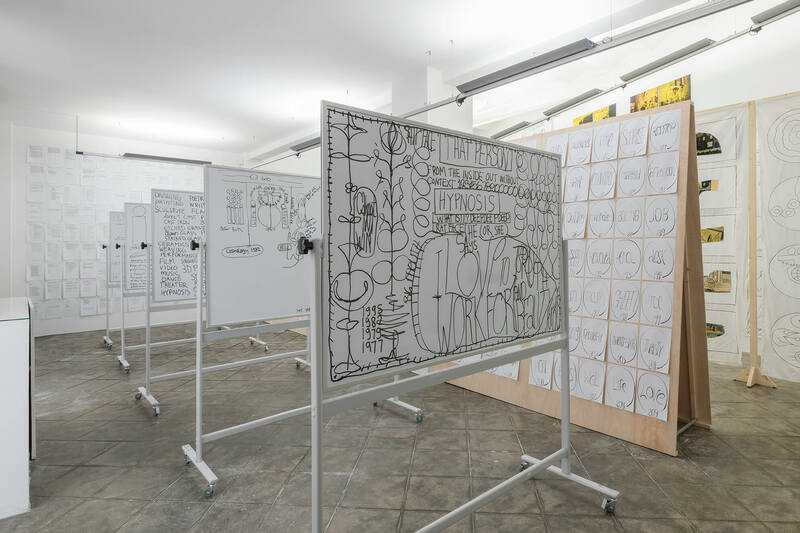 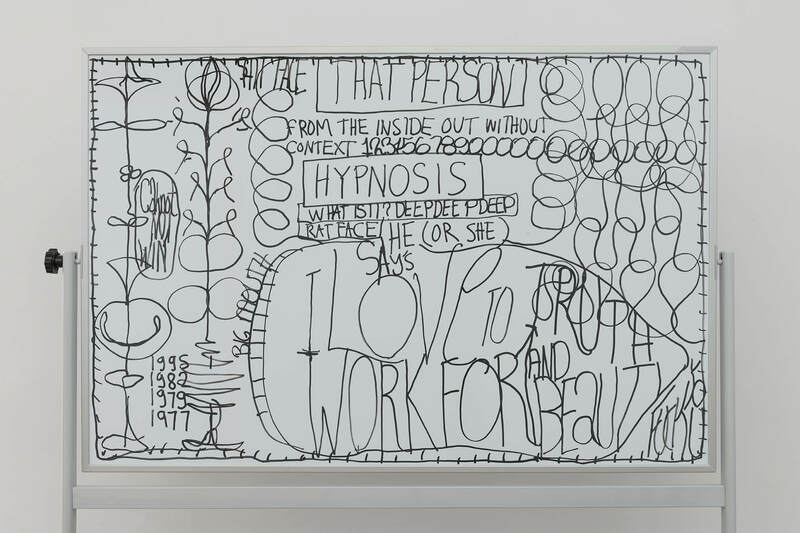 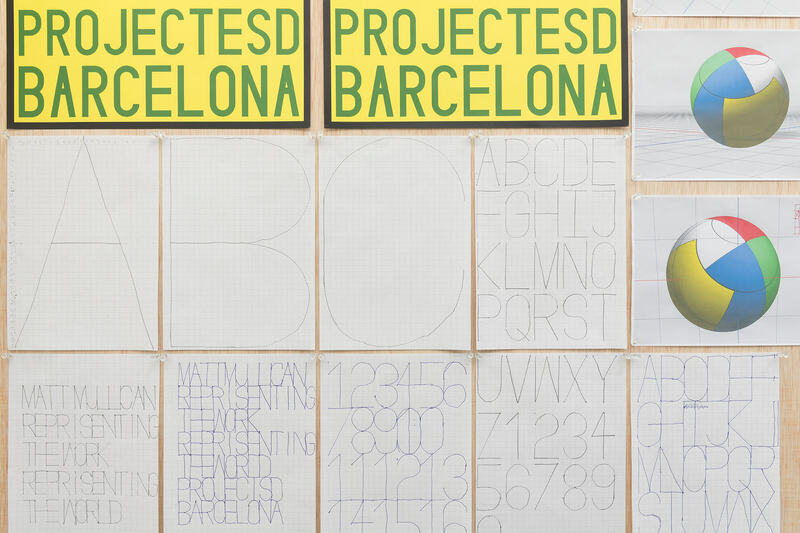 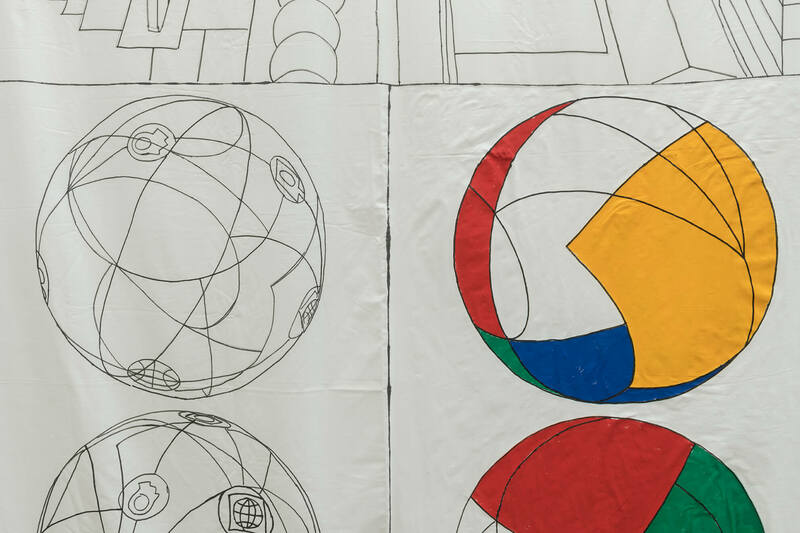 Through the use of all conceivable media — drawings, readings, performances, rubbings, posters, signs, sculptures, animations, banners, etc., Matt Mullican has undertaken to re-create a multidimensional picture, a comprehensive project towards the goal of representing his world. 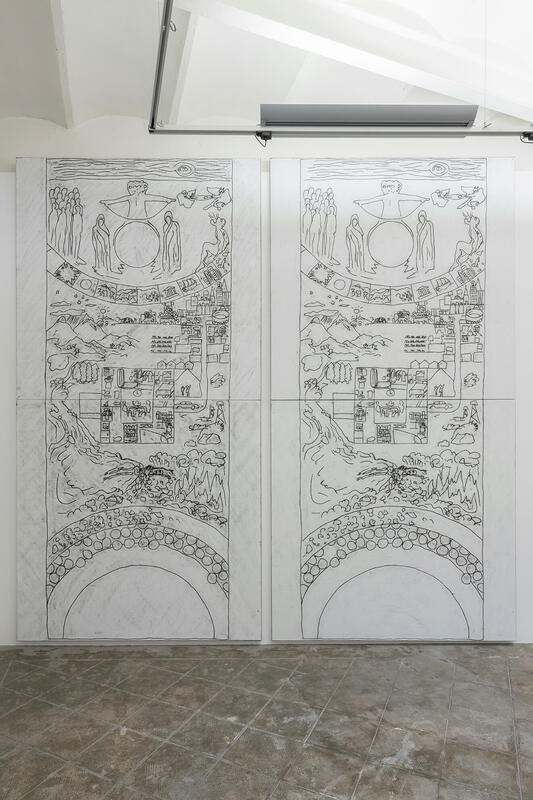 And to do that he works to reconstruct it in every aspect, piece by piece, detail to detail. 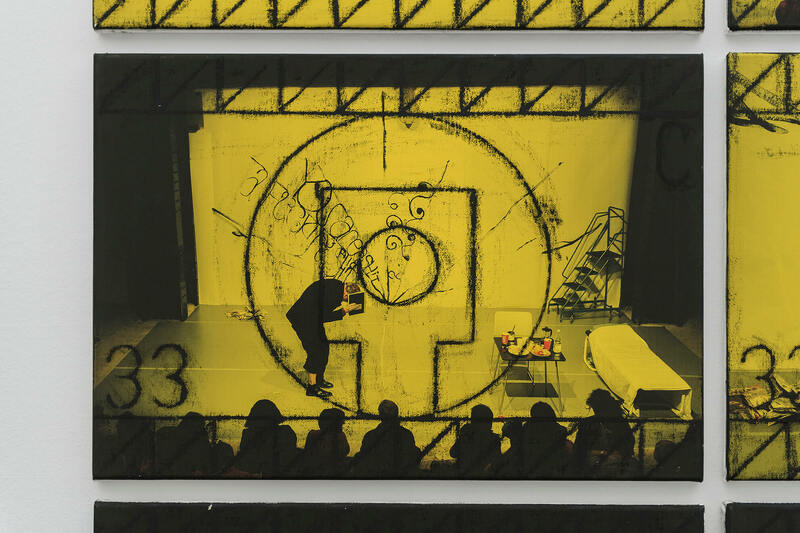 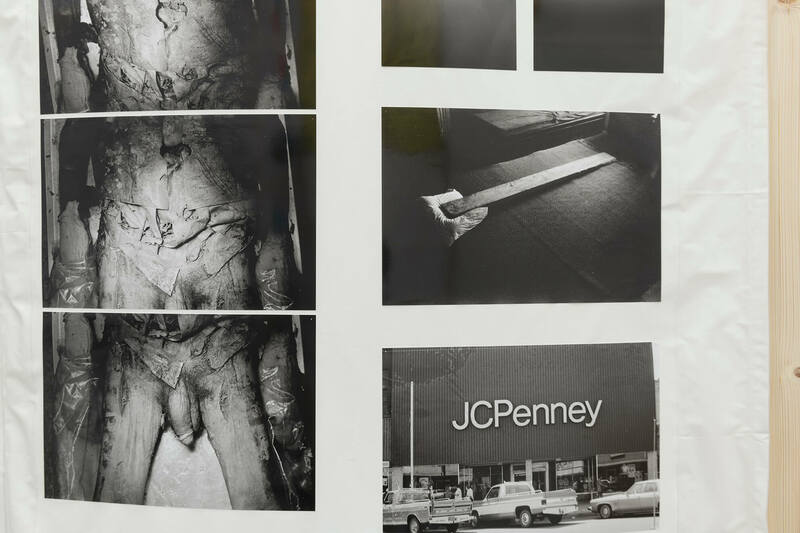 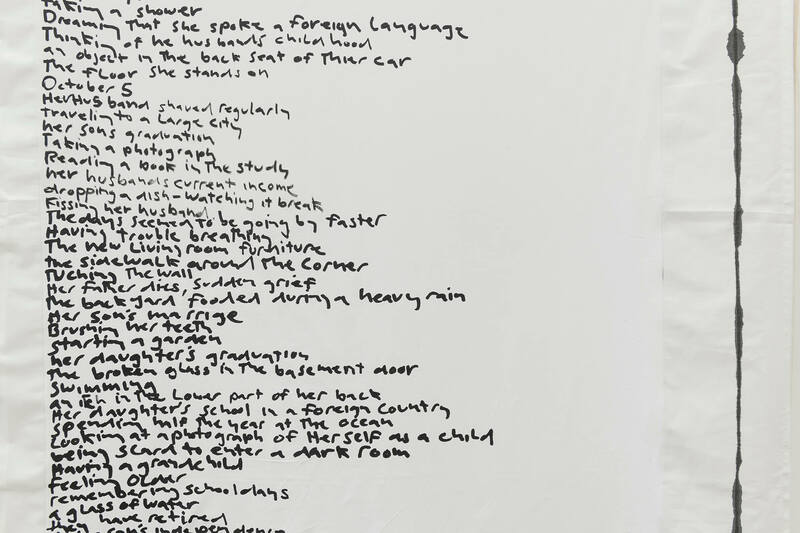 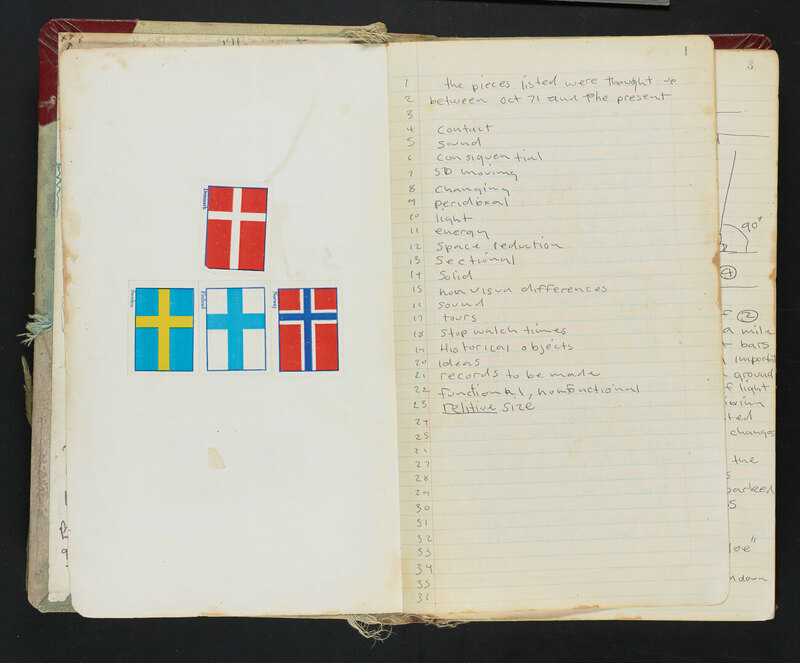 He constructs, assimilates, disintegrates, modifies, accumulates to deliver a complex, poignant and sometimes wondrous, but always fascinating oeuvre. 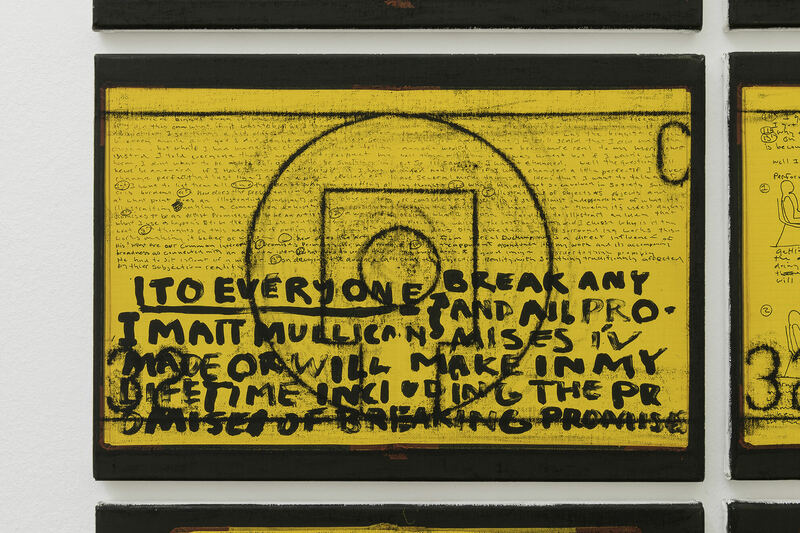 Text extracted from Matt Mullican’s World by Allan McCollum, 1979, originally published in Reallife Magazine New York, Winter 1980.